We are a North London Website Design Company that is passionate in creating fast, mobile friendly Responsive Design Websites. 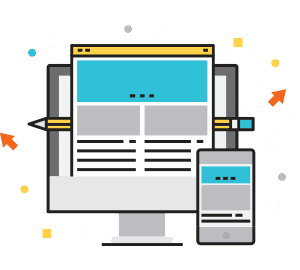 Our Responsive Web Design Solution will ensure your Website and Applications are smart enough to adapt content layout and display to the screen size on which it is being viewed. Customise your Website with a Mobile-Responsive Solution and give your users a pleasant viewing experience. Powerful Responsive Web Design Features to Run a Modern, Resource Rich Website. Your Website will be effective and easy to use on any device. Users are able to successfully complete tasks on the first try. We create an interface that it is easy and fun to use. Increase Traffic and Sales to your website. Cut down your Web Development time and cost, by creating only one page. Your website will be adaptable to any future screen size. Eliminates scrolling with enlarged view on a small screen. Search Engines will easily understand and serve your content.